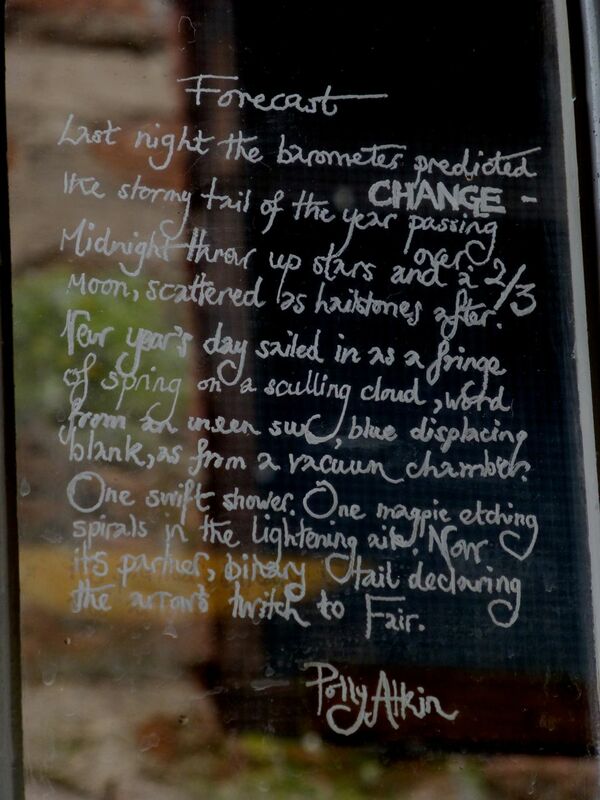 This week I went back up to Dumfries to see my window poem, which has just been installed in the upper landing of the Globe Inn, next to the Burns Room with its historical etchings. I love the way the text is mediated by the transparency and reflective qualities of the glass. 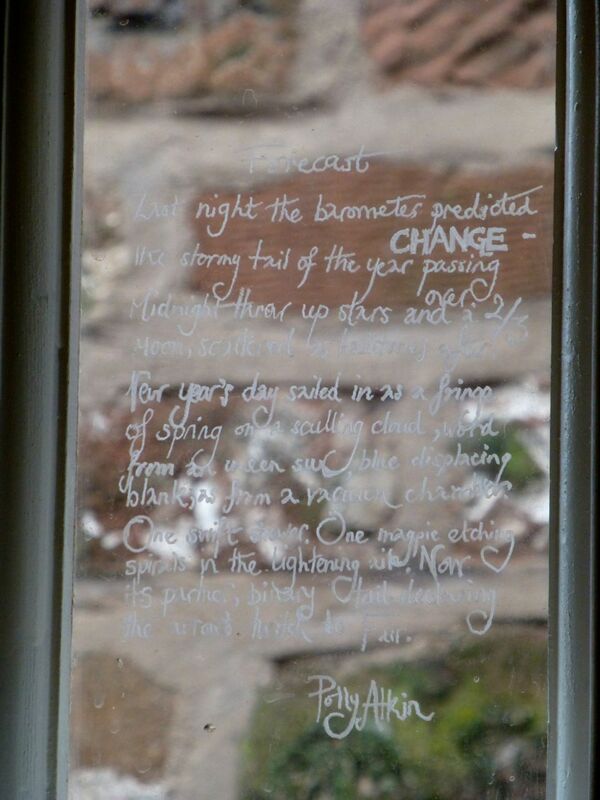 Next door, Hugh Bryden showed us Burns’ original etchings (and those of some followers) in the thick, antique glass. 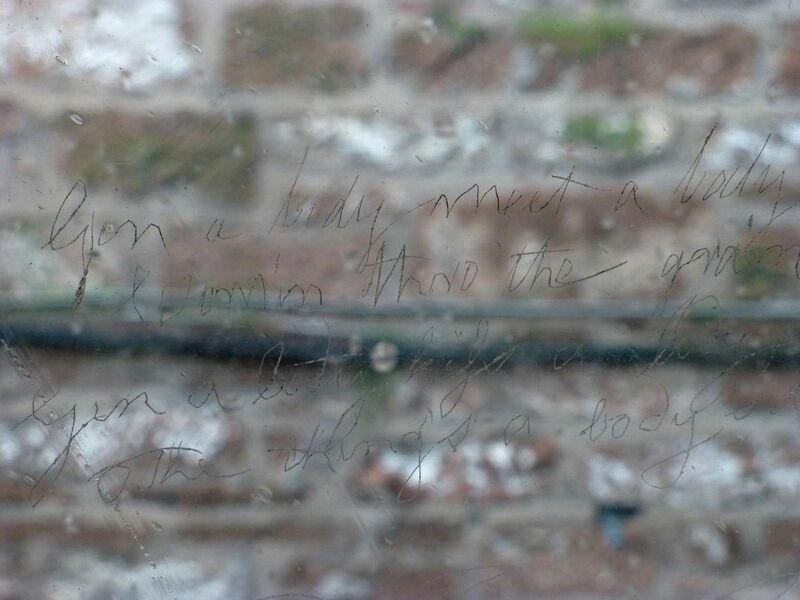 Burns seems to have had quite a penchant for writing on glass of all kinds. 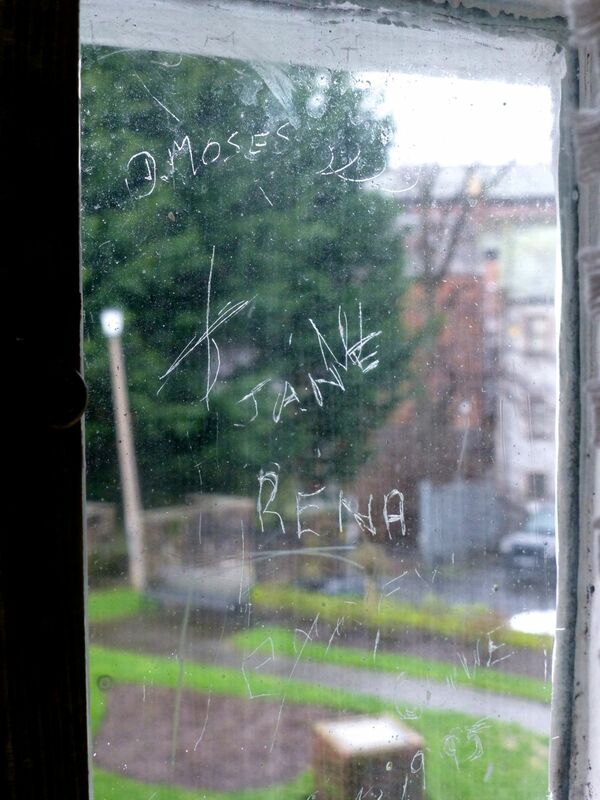 He was given a diamond stylus by James Cunninghamme, the Earl of Glencairn, and used it to make his mark on windows across Scotland, and several glasses. Some of these etchings got him in trouble at the time, either for their content, or for the vandalistic nature of the act. 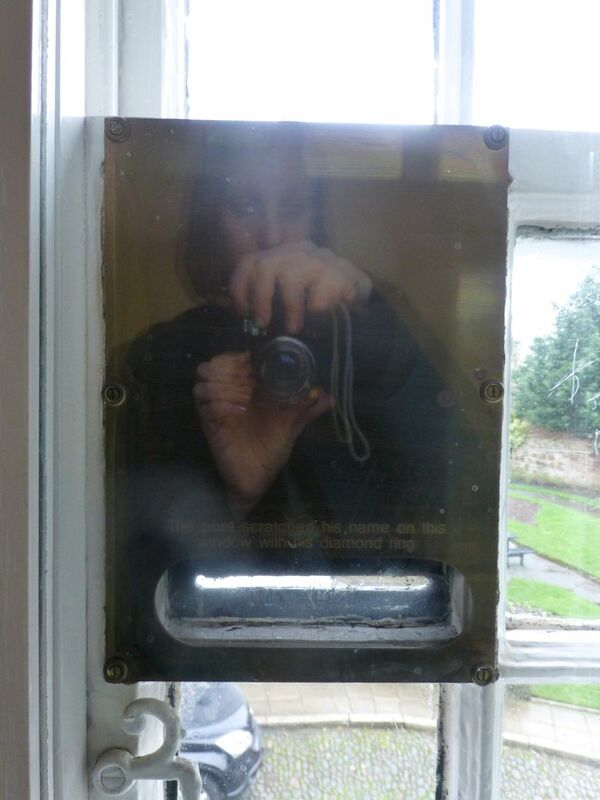 In Dumfries’ Burns’ House Museum, his signature in an upstairs window is encased by a brass plaque, presumably to stop tourists from adding their own monikers, as they have on the adjoining panes. I’m putting a diamond stylus on my Birthday and Christmas lists but not expecting much.